Following an exciting day of learning, your Ignite experience continues with our annual Ignite celebration. Looking for a way to unwind? We’ve got you covered. Join us for an evening of entertainment and suspense at the Ignite 2018 Conference Party on July 17th, from 7pm to 10pm. We will journey to The Orange Peel, a local entertainment venue located a short, 10-minute walk from the conference hotel in Asheville’s historic downtown. Plan to enjoy delicious food, drinks, riveting entertainment, and networking with friends! As for the entertainment… it’s a mystery, and you have to solve it! 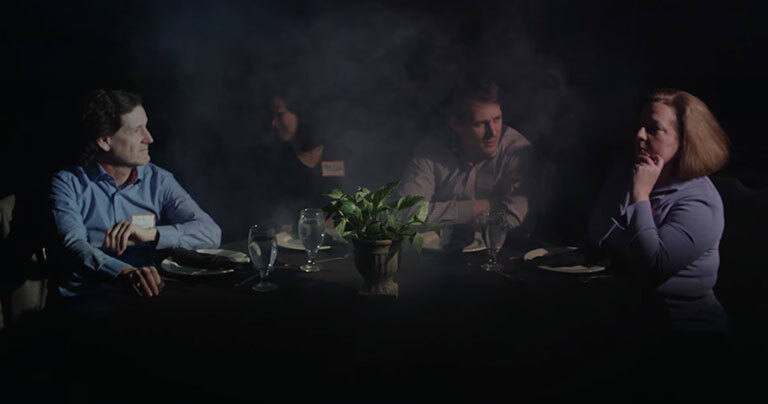 This year’s entertainment is an interactive murder mystery hosted by The Dinner Detective, voted the best dinner show in over 30 cities across the US. Join us as we uncover the culprit responsible for a murder prompting a “Clean up on Aisle 4!” Enjoy dinner during the show. Just beware, the culprit is hiding in plain sight, somewhere in the room. Everyone is a potential suspect! This event is sure to be packed full of mystery and entertainment suitable for all adults. Guest participation in the show portion of the night is optional. The dress code for this event is casual. For more information on what to expect, please visit their website. We hope you’ll help us unravel the mystery!